Mix two level scoops (47g) with approximately 9 ounces of cold water, or mix to taste. 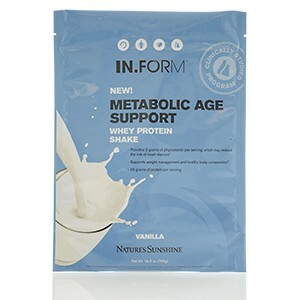 To experience the full benefits and dramatic success the IN.FORM program has to offer, use as part of the complete IN.FORM Metabolic Age Support product line including the Cardio Kit, Berberine and Probiotic products. ᵻDiets low in saturated fat and cholesterol that include 2 grams per day of phytosterols eaten with meals or snacks may reduce the risk of heart disease. 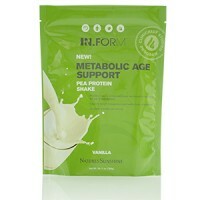 A serving of IN.FORM Metabolic Age Support shake supplies 2 grams of phytosterols.